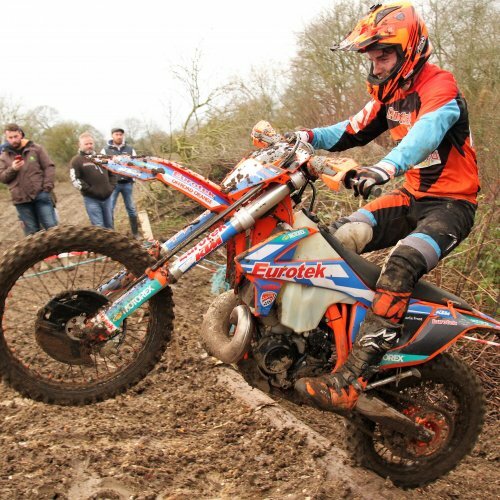 Although there was no rain over the six days leading up to Sudbury Motor Cycle Club’s fifth Extreme Enduro at Foxborough Quarry Sible Hedingham the course was still very muddy, slippery and grippy. 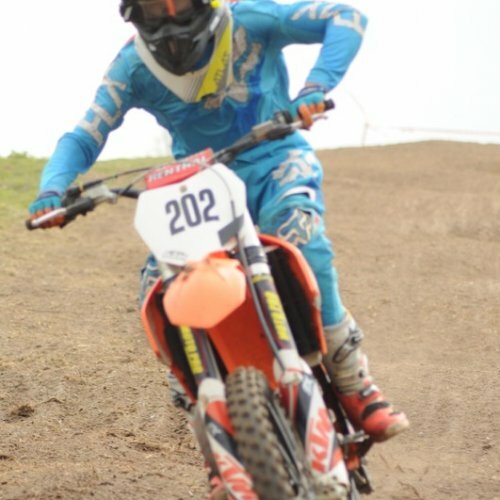 The forty plus competitors over two hours had to contend with a bog, stairway, steep climb along scattered concrete slabs, steep muddy climbs with tree trunks to negotiate with some bikes flying high over the brow of the slope followed by the rider. 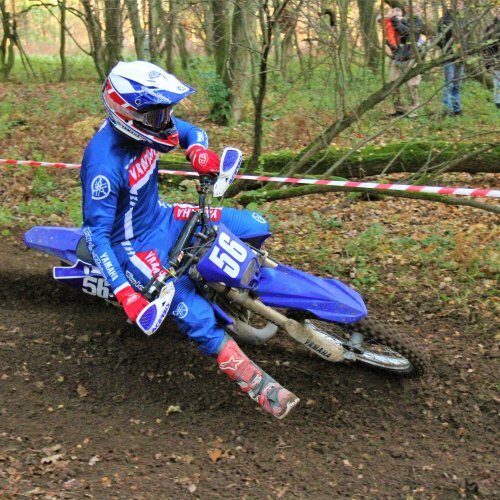 On a cool and frosty day in Thetford Forest the final round of the G H Motorcycles/Husqvarna/ACU Eastern Enduro Championship took place last Sunday and again there were surprises, drama and disappointment. 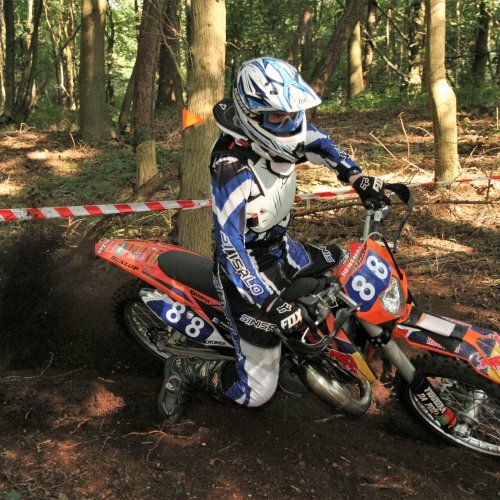 Fourth and final round of the Dave Barkshire Motorcycles Two Man Enduro took place at the Blaxhall Motocross Track last Sunday and was organised by the Woodbridge Motor Cycle Club who laid out an excellent course using parts of the Motocross circuit and adjoining woodlands. 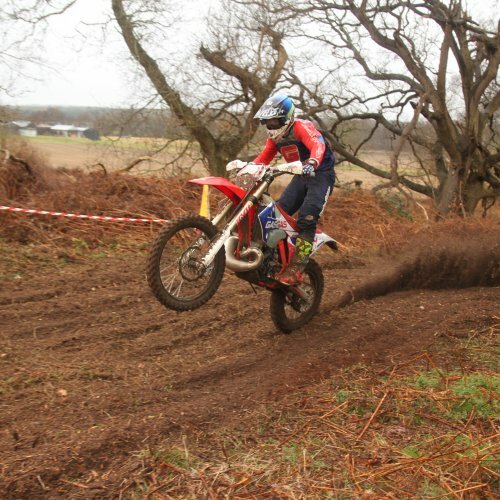 The expected rain did not arrive during the event however the extreme parts of the track caught several riders out. 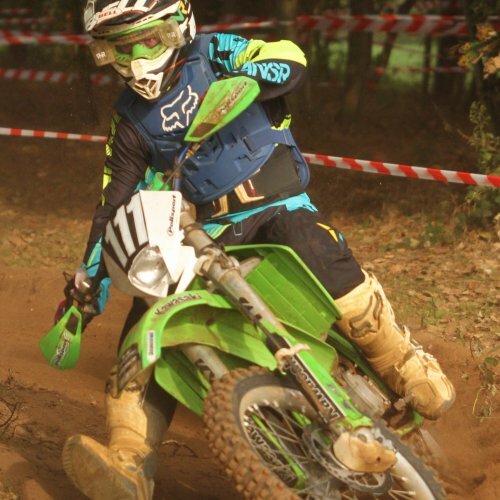 There was a good entry for the Dave Roper Memorial Event and the weather played it part sunny, warm but breezy. 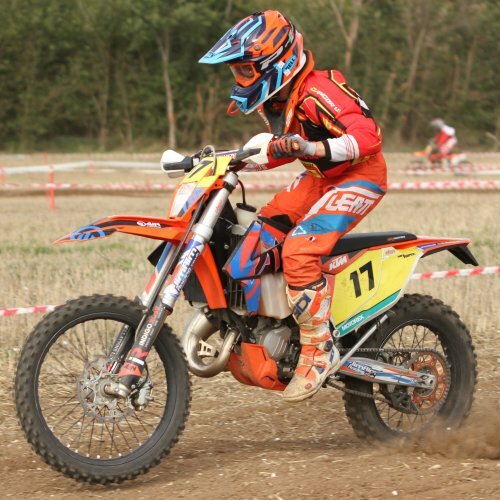 This year the two historic Scramble fields were not available at the Tye Farm Great Cornard complex and the organisers Sudbury Motor Cycle Club had the use of two other fields. 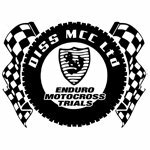 Results from the second round of the Dave Barkshire 2 Man Enduro championships held at Wattisfield on 19th August 2018.